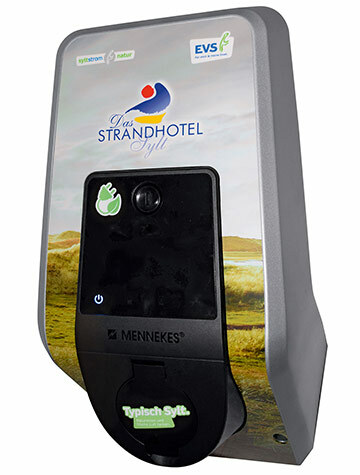 Hotel with charging station for electric vehicles in Westerland/Sylt! Recharge your batteries during your holiday and simultaneously charge your electric car at the charging point in our hotel’s underground garage. 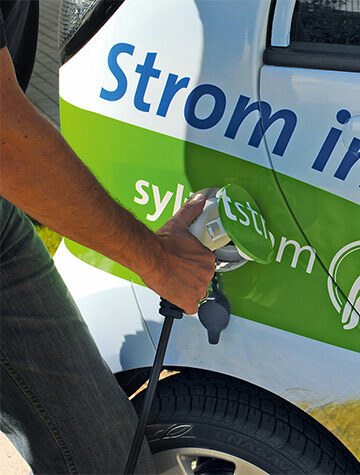 Since July 2016 Strandhotel Sylt has been offering guests with electric vehicles a special service. We aim to make their stay at our hotel an unforgettable one for all our guests, while at the same time protecting the environment of the island of Sylt. Experience a magical and unforgettable holiday on the North Sea island of Sylt. Enjoy to the full the fresh and invigorating North Sea air, extensive, well cared-for beaches and culinary diversity of the popular island of Sylt. Throughout the year great events on the island provide both entertainment and relaxation. From international sporting events to musical highlights, Sylt has lots to offer. Come and discover our island of Sylt and recharge your batteries! A charging station for electric cars is available to guests in the hotel’s own underground garage. As a hotel on the island of Sylt we are supplementing the infrastructure of available charging stations in Germany, and enabling owners of electric cars to enjoy a relaxed visit to the island and a stress-free holiday with their electric vehicle. Everybody is talking about e-mobility, but the figures for new registrations of electric cars are still very low. In spite of this, although the number of new registrations in 2014 was only 8522 (source: Statista), in the year that followed this rose to 12,636 (source: Statista). On the North Sea island of Sylt e-mobility enjoys top priority. For example, all car rental companies offer electric cars, while bicycle rentals also have e-bikes in their fleet. With six public charging stations the island’s charging infrastructure is entirely adequate for its size. Our MENNEKES charging station is located in our underground garage. The charging station has a Type 2 plug and a capacity of 11 kW. This means that batteries can be recharged quickly, in readiness for an extensive tour of discovery of the island. Charging time is around two hours, during which time you can relax and explore the island on foot or with our e-bikes. Use of the charging station is free to our guests. As the charging station is in our underground garage, your own vehicle is in a safe place and protected against wind and weather. With a full battery you can then explore the island by car. 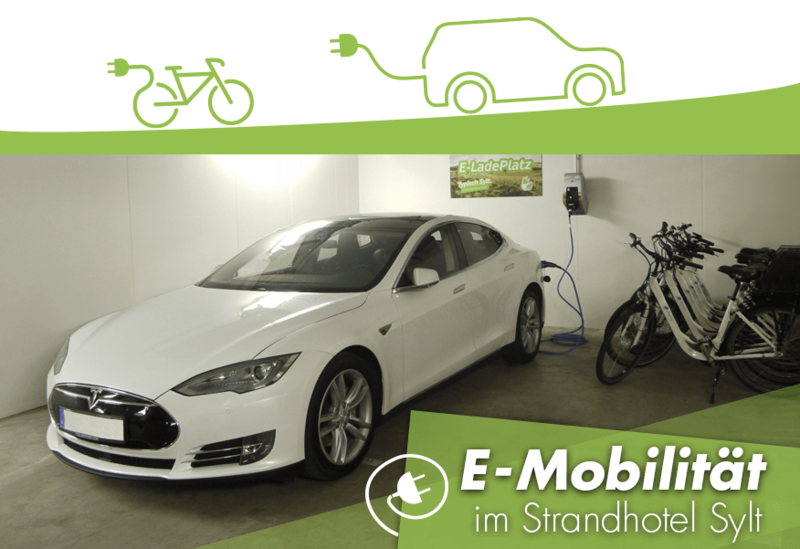 In addition to operating its own charging station for guests with electric cars, Strandhotel Sylt also applies e-mobility to bicycles. You can conveniently explore the island with our rental e-bikes. 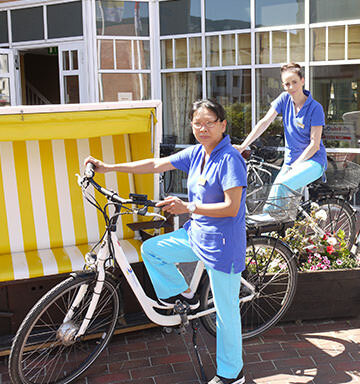 Our e-bikes can simply be rented at the reception of the Strandhotel. The e-bikes have a practical basket in which you can carry your things. In our underground garage you can simply charge the e-bikes at a charging point. You can rent an e-bike for €22 a day. Enjoy your well-earned holiday at our four-star B&B hotel in Westerland on the island of Sylt. 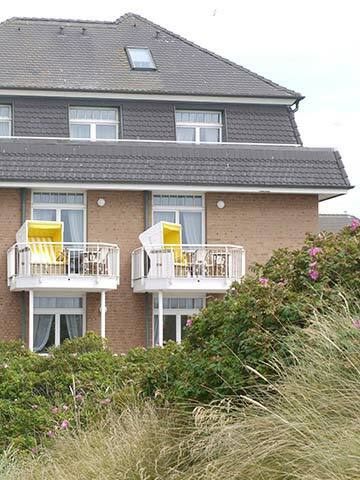 Strandhotel Sylt is located in a quiet situation right behind the dunes and has direct access to the beach. Our roomy and comfortable suites are the ideal place to relax after a long walk on the beach. In our compact hotel lobby coffee and freshly baked cake are available every day, together with draft beer for your thirst. The popular Friedrichstraße shopping area is just round the corner. Cosy cafes, excellent restaurants and a range of shops are an invitation to take a relaxed stroll. Strandhotel Sylt is only 100 m from Friedrichstraße. If you want to have a lie-in you can simply start your day a little later. Our extensive breakfast buffet is available to you until 12:00.The breakfast buffet at the Strandhotel Sylt includes, among others, fresh fish variations. Our first-class breakfast will set you up for your day and your exploration of everything that Sylt has to offer.